Click on the above links for a particular conference or workshop, or scroll down this page to see them all. This conference was devoted to the development, instrumentation, and use of meter-class telescopes�with emphasis on lightweight, low cost telescopes in the aperture range of 0.5 to 2.0 meters. Advances in lightweight, low-cost meniscus, foam glass, and spin-cast epoxy mirrors were covered, as were low cost active primary and secondary mirror systems. The structural design of lightweight telescopes was examined with a detailed look at a recently designed portable 1.5 meter telescope that weighs less than 500 lb. Instruments and observational programs well suited to meter-class telescopes include high-speed photometry, near IR photometry, low resolution spectroscopy, and polarimetry. There was a special session on visual observations with meter-class telescopes. The conference concluded with a panel discussion on the current status and future prospects for meter-class telescopes, instruments, and observational programs. 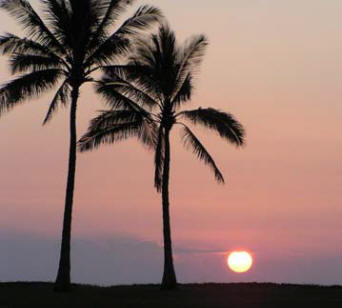 5:00 PM Early arrivals gather for drinks and watch sunset, no host dinner at Bongo Bens, 75-6819 Alii Drive, Kailua-Kona HI 06740, 808 329-9203. 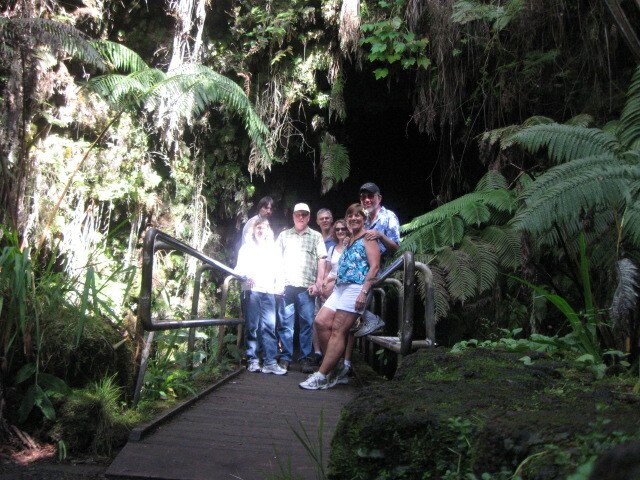 It is an easy walking distance from the Royal Kona Resort, 75-5852 Alii Drive, Kailua-Kona HI 96740, 808 329-3111. 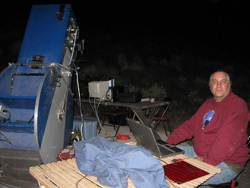 The Alt-Az Telescope Initiative: a personal perspective, Russ Genet, Cal Poly State Univ. Structural analysis of 1.5 meter telescope, Laura Rice, Cal Poly State Univ. Observations on Mauna Kea (HP) Must have warm clothes! 5:30 BBQ/Observing session in Waikoloa Village (Cliff Livermore�s place), 68-1812 Pau-Nani, Waikoloa Village HI 96738, 808 989-7451. 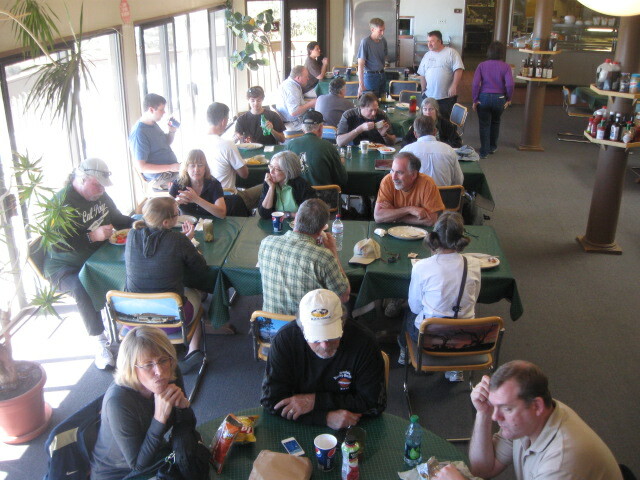 Volcanoes National Park Tour - Lunch! The goals of the conference are two fold. First, to explore how new technologies can be applied to developing lightweight, low cost, meter class �light bucket� telescopes and their instrumentation. Second, to describe the scientific research programs that would most benefit from telescopes which are so low in initial and operational cost that entire telescopes or even arrays of telescopes can be dedicated to specific research programs. Jacquelyn Mitton, in the Cambridge Dictionary of Astronomy (2001), defines a light bucket as �A colloquial expression for a flux collector.� She defines a flux collector, in turn, as �A telescope designed solely to collect radiation in order to measure its intensity or to carry out spectral analysis,� mentioning that, �No attempt is made to form an image so a flux collector can have a more crudely figured reflective surface than a conventional telescope.� We have extended Mitton�s light bucket definition to include photometric CCD �imaging� with low quality, low cost optics (typically one wave or less as opposed to quarter wave or better optics). Science programs well suited for light bucket astronomy include: many high speed phenomena, including lunar and asteroid occultations; fast cadence, high precision CCD photometry; near infrared diaphragm-limiting or area photometry; low to medium resolution spectroscopy; and polarimetry. Finally, we note that an array of a half-dozen light bucket telescopes equipped with very high speed photometers could, with their many two-telescope combinations, provide images of the surfaces of nearby stars via intensity interferometry�a quantum-mechanical effect that occurs at sub-nanosecond timescales. Such an array would be a modern extension of Hanbury Brown�s pioneering research, decades ago, with his two-telescope interferometer in Narrabri, Australia. In 1609, Galileo turned his newly made telescope toward the heavens and, in rapid succession, discovered the mountains on the Moon, a multitude of previously invisible stars, and four moons orbiting Jupiter. Many of Galileo�s observations were made from his backyard. Four centuries after Galileo�s 1609 observations�thanks to the revolutionary trio of affordable CCD cameras, small go-to telescopes, and personal computers�thousands of backyard Galileo's around the planet are now probing cosmic mysteries every clear night. They conduct scientific research across a broad spectrum: tumbling asteroids, pulsating stars, eclipsing binaries, transiting planets, and sputtering matter as it spirals onto white dwarfs and neutron stars. To commemorate Galileo and celebrate his legacy, 2009 has been designated the International Year of Astronomy (IYA). This conference honored Galileo and his telescope, by way of the many current builders and researchers�amateurs, students, and professionals�who are successfully designing, building, and using small telescopes, CCD cameras, and even spectrographs to advance astronomical science. The conference celebrated Galileo�s achievements by examining his legacy: the remarkable resurgence of small telescopes and their science. Affordable CCD cameras, compact go-to telescopes, and powerful personal computers (not to mention DSLR and video cameras) have transformed small telescopes into powerful tools for astronomical research. �Dobsonian� mirrors up to one-meter aperture and affordable control systems are being combined into highly capable equatorial and alt-az telescopes. These larger telescopes not only allow precise astrometric and photometric observations of faint objects but, with recently available spectrographs, both time-series and classification spectroscopy are now affordable. Robotic and remote access small telescopes are facilitating observations both locally and remotely around the globe. 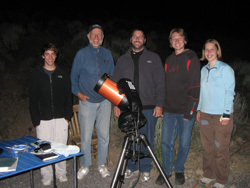 High school and undergraduate students are joining the ranks of amateur and professional astronomers in utilizing small telescopes for astronomical research. Whether conducting astronomical research or developing new telescopes or software, students gain invaluable hands-on experience in science and engineering while, as coauthors of published papers, their careers are given a boost. 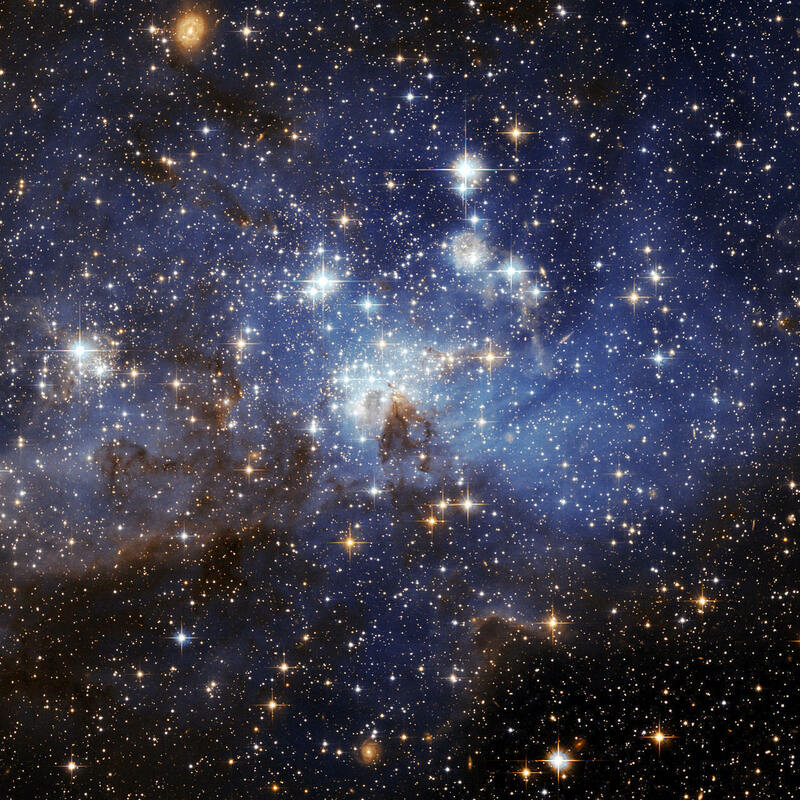 Arne Henden � You Should Observe Variable Stars! Tom Frey � What are Double Stars? The Portland IV Annual Alt-Az Initiative Workshop was held on Saturday and Sunday at Dan Gray's Sidereal Technology plant, preceded by an informal BBQ on Friday evening, July 30. 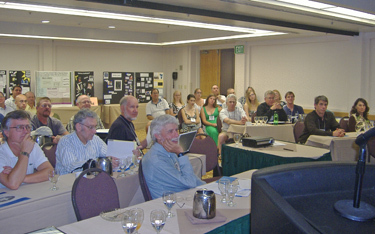 Last year�s Portland III Workshop featured a wide variety of speakers, and was featured in Amateur Astronomy magazine as will be this year�s workshop. Topics this year included lightweight mirrors, large alt-az telescopes, advanced control systems, instruments (including near IR aperture photometers), and other topics. Howard Banich chaired the workshop (howard.banich@nike.com), and Dan Gray was the local host. Future plans - what scopes and instruments are being planned by participants? 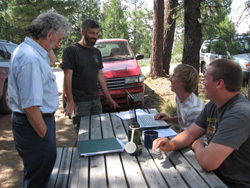 Three schools, St. Mary's School in Medford, South Eugene High School in Eugene, and Willamette University in Salem participated in the Pine Mountain Observatory Summer Research Workshop 2009. The workshop was only three days long. To accomplish the goals of the workshop, Richard Berry, Jo Johnson, and Thomas Frey were invited as instructors to the students and high school teachers. Richard Berry led a variable star photometry project as well as a proper motion astrometry project. 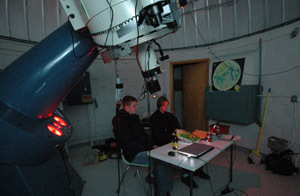 Jo and Tom led visual double star astrometry projects. Each of the instructors also gave lectures on the first day to introduce the students to the topics of their research. None of the students had made quantitative astronomical measurements before. Each team wrote up a paper describing the research they had done. Three papers in all were submitted for publication. Dan Gray continued his project for automated IR photometry of variable stars and Russ Genet made considerable progress on the design of a 1 meter alt-az telescope for the Orion Observatory, which he directs. Finally, the editors of the Small Telescopes and Astronomical Research book, Russ Genet, Jo Johnson, and Vera Wallen met at the workshop to finish preliminary editing of all chapters and Cheryl Genet, managing editor of the Collins Foundation Press, typeset the chapters in InDesign. After the January conference, Galileo's Legacy: Small Telescopes and Astronomical Research, over a dozen astronomers and engineers visited the Gemini telescope on Mauna Kea for an "insiders tour." They stopped at the Hale Pohaku Astronomer's Hotel (9000 ft level) to have lunch and acclimatize to the altitude before ascending to the top of mountain at 14,000 feet. During this workshop they continued their discussions of alt-az telescope technologies and saw the Gemini implementation of some of these technologies first hand. 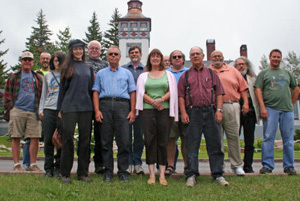 Craig Breckenridge, members of the Vancouver ATM community, local professionals from the large aperture telescope design field, and the low cost 1.5 meter alt-az telescope development team met to discuss all aspects of 1M to 2M class instruments and their enclosures and to reviewing preliminary design alternatives for the low cost 1.5 meter telescope. Overview and discussion of current technologies and future potentials for telescopes in the 1-2 meter range. Emphasis on the potential for applying some of the lessons learned in larger alt-az telescopes to modest aperture alt-az systems in a manner that could result in unusually lightweight, low cost telescopes. 9:00 PM Observing with the Royal Astronomical Society of Canada, Vancouver Centre at their inaugural local Star Party (in Fort Langley - about 1 1/2 hour drive). The 1.5 meter project is developing a lightweight, low cost telescope for dedicated near-IR photometry and fiber fed optical spectroscopy. Several preliminary design alternatives were presented for critique by the attendees with the hope of selecting one option for further detailed design and construction. Sidereal Technology hosted, for the second time, a Portland workshop devoted to the design, construction, and use of high tech, modest aperture, low cost, alt-az telescopes. The telescopes and designs we discussed were all high tech in the sense that they were computer-controlled precision goto/tracking telescopes that used aerospace materials as appropriate. We limited ourselves to 2 meters or less in aperture, except for several larger alt-az telescopes we have visited for inspiration such as the 2.4-meter Magdalena Ridge Observatory and 8-meter Gemini and Subaru telescopes. One can purchase wonderfully designed and manufactured alt-az telescopes in the 1 to 2 meter range from firms such as ESO Technologies, DFM Engineering, and others. These systems are excellent values. Our group�s interest centers on addressing how telescopes of much lower cost�an order of magnitude lower�might be designed and produced. Of course there are no free lunches, so such low costs would have to depend on technological breakthroughs, limited telescope capabilities (such as specialized, dedicated mission telescopes), be standardized and manufactured in quantity, or have somewhat lower optical quality, etc. Dan Gray: High Resolution Encoder, Hand Controller, Direct Dive Motor Controller, Optec SSP-4 Automation, Cal Poly 18 Inch Telescope, Instrument Rotator Projects, Alt-Az 16 Inch Telescope. Tim Anderson: Memory Foam Mirror Cell for Thin Mirror. Multiple OTA Telescope / Four Shooter. Howard Banich: Conversion of 28 Inch Telescope, Primary Mirror Cell for 18 Inch Telescope, Secondary Mirror, Structure for 18 Inch Telescope. Peter Abrahams: Early Computer Controlled and Robotic Telescopes. Russ Genet: Lightweight Mirrors, Goto Dobs. Mike Colyar: High Speed Photometry, Oil Pad Systems, Preload Springs From Recoil Starters. Richard Berry: Science Programs for Advanced Telescopes, Alternative Instrument Payload Configurations. Greg Rohde: Fused Quartz Mirror Cells. Malcom Sanders: Problems with 700mm Telescope. One area of research interest is near infrared photometry. Although NIR cameras remain quite expensive, the Optec SSP-4 photodiode NIR photometer is very inexpensive (less than $3000). The SSP-4 is a manually operated system in terms of its flip mirror and J and H band filter slide. Dan Gray automated these functions, and integrated them with his automated 14-inch alt-az telescope. 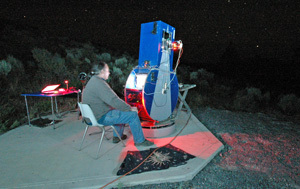 Dan and Russ Genet tested the photometer out on a workshop at Pine Mountain Observatory in eastern Oregon. Dave Rowe analyzed their test data on various stars. Also during the workshop, Jo Johnson, a student at Cuesta College in San Luis Obispo, California, and Eric Carlson, a student at the University of Oregon, used the 24� Boller and Chivens to observe double stars with an SBIG ST-8 CCD camera. They also attempted several transits of the exoplanet HD 189733b predicted on TransitSearch.org. No transit was detected after data reduction. 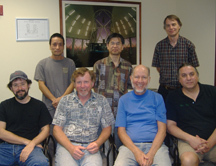 A second workshop was held in Hilo, February 2008, with Chris Carter (Gemini Controls), Daigo Tomono (Subaru Mechanical), Mike Sheehan (Gemini Mechanical), and Russ Genet (Alt-Az Initiative). The first part of the workshop was devoted to roughing out a conceptual design for a lightweight (under 1000 lb. ), low cost 2.0 meter telescope for dedicated, fairly narrow field-of-view applications such as time series photometry or fiber-fed spectroscopy. The conceptual telescope employed four 1-meter spherical mirrors that would be co-aligned and co-focused, albeit not co-phased. Instruments were placed on the top of struts at prime focus behind a refractive spherical aberration corrector. The second part of the workshop was devoted to discussing active correction of a primary mirror figure via "voice coil" tweaking as the telescope changed its azimuth. The amount of "tweaks" needed to overcome mirror "slumping" would be determined off line by observing bright stars at a range of altitudes. These values would be stored in a lookup table & interpolated to the telescope's current altitude, an approached used successfully by the Subaru 8 m telescope. 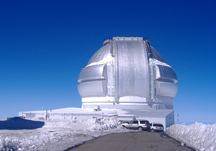 The large telescopes have pioneered many of the techniques that can now be applied at greatly reduced cost thanks to advancements in electronics and materials. The large telescope engineers seem to genuinely enjoy discussing the challenges of applying what they have learned on a much smaller scale and greatly reduced budget. 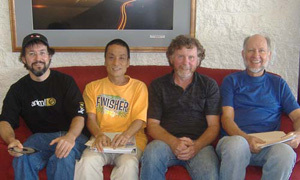 Alt-Az Initiative members Russ Genet and Dan Gray met with Gemini engineers Chris Carter and Mike Sheehan and Subaru engineers Daigo Tomono and Hicleki Takami in Hilo on the big island of Hawaii. Gemini Director Doug Simons joined us during our meeting. 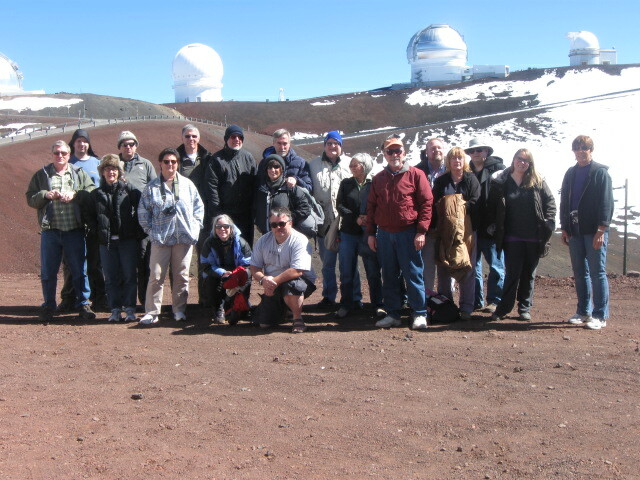 A visit to the 8-meter Gemini and Subaru telescopes on Mauna Kea followed the meeting. 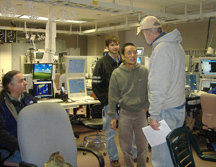 Chris Carter guided Russ and Dan Gray through Gemini, while Diago Tomono guided them through Subaru. Both the Gemini and Subaru telescopes use thin meniscus primary mirrors. The mirror blanks were cast at Corning from ULE. Passive supports alone would be inadequate for these mirrors, so their figures are fine tuned with actuators which actively apply forces to the backs of the mirrors. The Subaru has a diameter to thickness ratio of 60:1. What was of great interest to us was that once the necessary forces for various elevations and temperatures were determined, they could be used for months in a table look-up fashion before they needed to be refined. This was important for our smaller alt-az telescope to know, because we have been considering using a thin meniscus mirror in our 1.0 to 2.0 meter telescopes with active control and were hoping that we could make calibration measurements off line and just interpolate from a table during normal operation. Evening Kickoff at the Texas Astronomical Society of Dallas�s General Meeting at the University of Texas, Dallas, Friday evening, October 26, 7:00-8:30 PM. A 40-minute presentation, High-Tech Alt-Az Telescopes for Research, Astrophotography, and Education, by Russ Genet (California Polytechnic State University) will be followed by a question-answering panel chaired by Max Corneau with panel members Russ Genet, Richard Kay, Tom Krajci, Tom Smith, and Dave Rowe. All-Day Workshop Saturday, October 27, 2008, 9:00 AM � 5:00 PM. Please see workshop agenda below. The combination of low-cost alt-az telescope control systems and affordable aerospace materials has reached the point where a revolutionary new class of lightweight, highly capable alt-az telescopes is emerging. Similar to SCTs, this new class of alt-az telescopes will not only be used visually, but also for CCD-based scientific research and astrophotography. Similar to Dobs, they will have larger apertures than SCTs, yet will be lightweight. Unlike the visual Dobs but similar to giant mountaintop alt-az telescopes, this emerging class of precisely controlled telescopes will handle a variety of instruments mounted on field de-rotators with generous back focus. The primary reason for developing lightweight alt-az telescopes with apertures larger than SCTs is to conduct research on and image (as well as view) fainter objects with affordable telescopes. The cost of alt-az telescope control systems has plummeted over the years. Initially, control computers and telescope control electronics cost tens of thousands of dollars and filled entire equipment racks. Today, Sidereal Technology makes a microcomputer-based alt-az telescope control system for about $1,000 that you can place in your briefcase with room to spare. Meanwhile, the cost of aerospace materials has plummeted as their use has moved beyond aircraft and spacecraft to outdoor signs and building exteriors. Given these two dramatic drops in cost, research-grade alt-az telescopes fabricated from lightweight aerospace materials are now economically viable. 840-850 Workshop Overview Russ Genet, Cal Poly Univ. 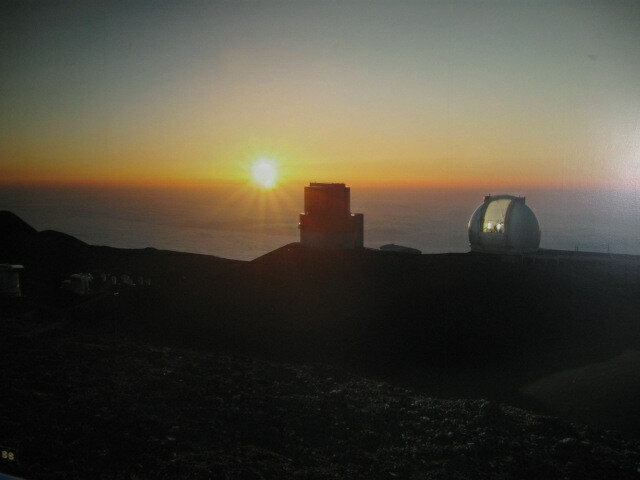 A wide-field photo-visual alt-az telescope supports two basic optical configurations: the corrected Newtonian for smaller systems, and the tertiary-focus Cassegrain for larger systems. The first part of this talk will address the requirements and trade-offs for telescopes of this class, and will discuss various high-performance optical designs in detail. Emphasis will be placed on corrected parabolic Newtonian, corrected hyperbolic Newtonian, and corrected Dall Kirkham optical systems. The second part of this talk will cover the current status and future of large, lightweight mirror blanks and corrective optics. Lightweight and inexpensive primary mirrors and matched correctors are needed to fulfill the promise of the high-tech telescope. 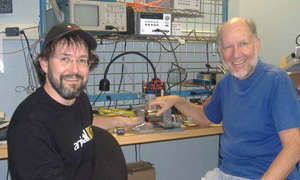 The corrected Dall Kirkham design employed in the 20-inch Plane Wave Instruments OTA is being extended to alt-az telescopes of 40-inch (1-meter) telescopes. Why is this optical design particularly well suited to economical 1-meter telescopes for research, astrophotography, and education? Autoguiding has been the mainstay of long-exposure astronomical imaging. This talk will cover the current status and future of telescope positioning and position correction. Topics will include traditional autoguiding using cameras and mount corrections, faster correction methods using movable mirrors and deviator plates, and long-exposure unguided imaging using precision encoders and mount modeling. The impact on the optical and mechanical design will be discussed. Sidereal Technology manufactures and supports a control system that can be used for either equatorial or alt-az telescopes. Over 100 systems have been incorporated into telescopes, including several ATM alt-az systems. 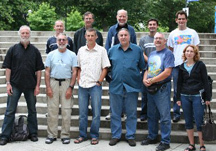 An active Yahoo user�s group helps newcomers and provides ideas for and evaluations of advances. Besides reviewing the current control system, this talk will describe new developments which include �tick management,� closed-loop operation with high-resolution telescope encoders, and experiments with the control of high-torque brushless DC motors. This latter development could produce active control systems that directly counter wind gusts one millisecond at a time. Although new high-speed CCD cameras, such as MalinCan and StellaCam, can overcome field rotation by stacking short exposures, accumulated camera read noise can be a problem for faint-object photometry or narrow-band astrophotography. Thus instrument rotators are still useful for research alt-az telescopes. Several off-the-shelf instrument rotators (Meade, Optec, RC Optical Systems) are available. A proposed development by Sidereal Technology will also be discussed. 200-230 High natural frequency mechanical structures Russ Genet, Cal Poly Univ. Control systems that actively counter wind gusts with high-torque motors and high-resolution encoders require, to be effective, very stiff telescope structures with resonant frequencies above 10 Hertz (most of the wind gust energy is from 1 to 10 Hertz). Sheet steel is very stiff for its weight (and very economical), but aerospace materials, such as carbon fiber and other composites, and aluminum honeycomb and foam core panels are, pound-for-pound, even stiffer and lighter than sheet steel. Ordinary woodworking tools and structural adhesives can be used to build lightweight alt-az telescopes in a manner very similar to building balsa wood model airplanes. 230-300 Bearings for alt-az telescopes Richard Kay, Impact Bearings, Inc. While there are many ways to accommodate rotation in altitude and azimuth, precision bearings is an approach that has been used with success by the smaller mountaintop alt-az telescopes, such as the new 2.4-meter telescope at Magdalena Ridge Observatory built by EOS Technologies. Although large-diameter slim-line bearings are somewhat expensive, they are a viable option for lightweight alt-az telescopes. Recent advances in bearing technology will be discussed. There are many structural possibilities for lightweight alt-az telescopes. The panel will address a number of questions. Newtonian top ends: can they achieve low wind resistance? Should truss or closed OTAs (shroud or otherwise) be used? What is the best approach to fork designs? Is foam filled monocoque or stacked aluminum skinned panels a viable approach? How can altitude and azimuth drives be integrated into the structure? Should they be non structural? How should telescopes be coupled to piers or ground pads? Is the ground too springy for active control telescopes? Now that you've decided to build a high-tech alt-az Telescope, how do you automate the observatory so you can sleep through the night? How do you schedule observations to make the most of dark time? If you want to operate at a remote site, how do you choose it? The Cloudcroft area, besides being home to several major research obser-vatories, is a hotbed of smaller observatories, many of which are operated via the Internet from remote locations. 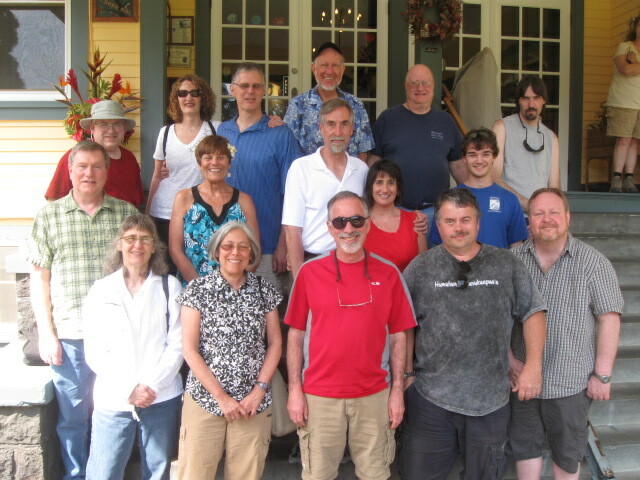 Left: The RAAT conferees pose in front of the historic Cloudcroft Lodge. 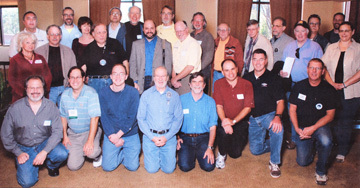 Just over 18 years ago, the first Remote Access Automatic Telescopes (RAAT) conference was held in Tucson (March 16-19, 1989). Russ Genet (Fairborn Observatory) organized the conference which was chaired by Dave Crawford (Kitt Peak National Observatory). 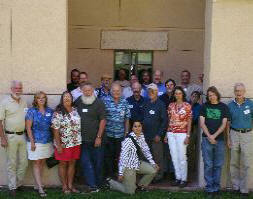 The conference was sponsored by the Fairborn Observatory, the Smithsonian Institution, and the IAPPP. Not long before the conference, an automatic telescope had received instructions over the Internet, run automatically all night, and sent the results to the requestor following morning�an unattended, remote-access procedure that soon became routine. Russ Genet and David Rowe, the RAAT II conference organizers, thought it would be worthwhile to revisit this topic. The Lodge at Cloudcroft was chosen as the venue not only for its cool summer clime, beauty, and historic charm, but because the Sacramento Mountains of New Mexico have become a world center for remote access automatic telescopes of modest aperture. The conference began at 9 AM, broke for a leisurely lunch, continued during the afternoon, and then adjourned for a Dutch-treat social hour and dinner. Talks and discussions were informal. All subjects dealing with remote access telescopes, imaging, science and/or educational programs were encouraged, as were talks on non-automated observatories and all other astronomical topics of general interest. 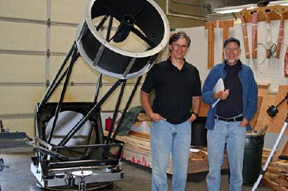 A crucial "workshop" was a visit by Russ Genet, Tom Karjeci, and Tom Smith to Magdalena Ridge Observatory to see and discuss MRO's 2.4 meter alt-az telescope which, at the time, was nearing operational status. 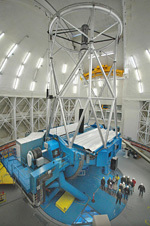 The 2.4 meter telescope had been highly recommended to Initiative members as a particularly good example of a modern, modest aperture alt-az telescope. MRO's chief engineer, Elwood Downey, and EOS Technologies Project Engineer, Kevin Harris, were the hosts. Initiative members were particularly impressed with the telescope's direct drives and stiff structure, inspiring us to look into direct drives more closely and, eventually, to develop our low cost direct drives. The STAR Workshop was sponsored by the Research Scholar in Residence Program at California Polytechnic State University (Cal Poly). Late June was chosen as a time when schools were out but summer vacations had not started in earnest. 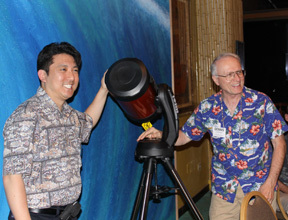 The workshop provided a forum where high school and undergraduate students, amateur and professional astronomers, educators, and the commercial designers and manufacturers of small telescopes, could share their ideas in the rapidly expanding arenas of small telescope engineering development, scientific research, and undergraduate education. Russ, Howard, Richard, Mel, Dan & 14"
The very first meeting of the Alt-Az Initiative took place June 9-10, 2007, at Dan Gray's Sidereal Technology/Technical Marine Services plant in Portland, Oregon. In attendance, as shown in the photo, were Russ Genet, Howard Banich, Richard Berry, Mel Bartels, and Dan Gray. 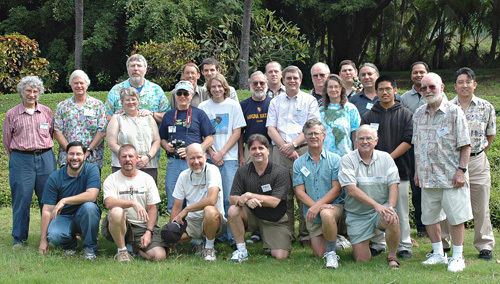 This small group began considering the research missions for alt-az telescopes in the 0.5 to 2.0 meter range, how these missions translated into engineering requirements and, especially, how new technical innovations and "tech transfers" from larger alt-az telescopes might be applied in novel ways to producing research telescopes that were remarkably lightweight and low in cost. 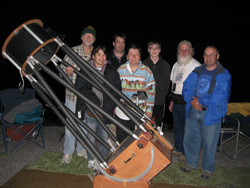 All the attendees had designed and built small telescopes themselves. Two alt-az telescopes were at the workshop--Dan's 14-inch "Lollipop" and Howard's portable 28 inch which he brought to the workshop in his VW Microbus and assembled himself in just minutes. It is not surprising that, from the very start, the mind set of Alt-Az Initiative's members was not only on very low cost, lightweight telescopes, but also on an informally funded, voluntary, and cooperative do-it-ourselves approach to development. 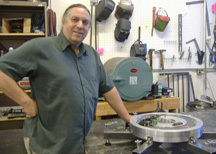 Dan's shop in Portland was not only host to another workshop, Portland II, but also to the final work, assembly, and testing of the Initiative's first demonstration telescope, the Cal Poly 18.